I built a web based applications that imports and manages documents, streamlining a previous very manual process. Plan Tracker is an app that enables people to manage their NDIS budgets. The API is built with Laravel which is consumed by both mobile and web apps. Built with PHP framework Yii, Coinhawk is a project that shows almost real-time market data for markets at different crypto-currency exchanges. 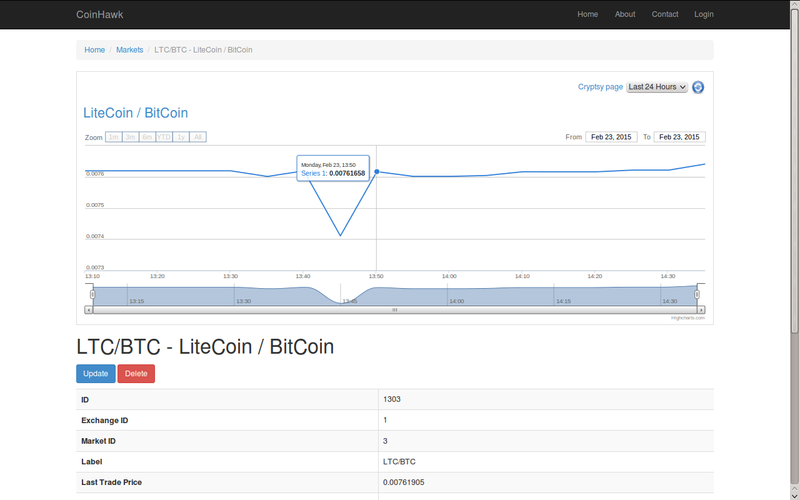 It currently supports Cryptsy and Mintpal. 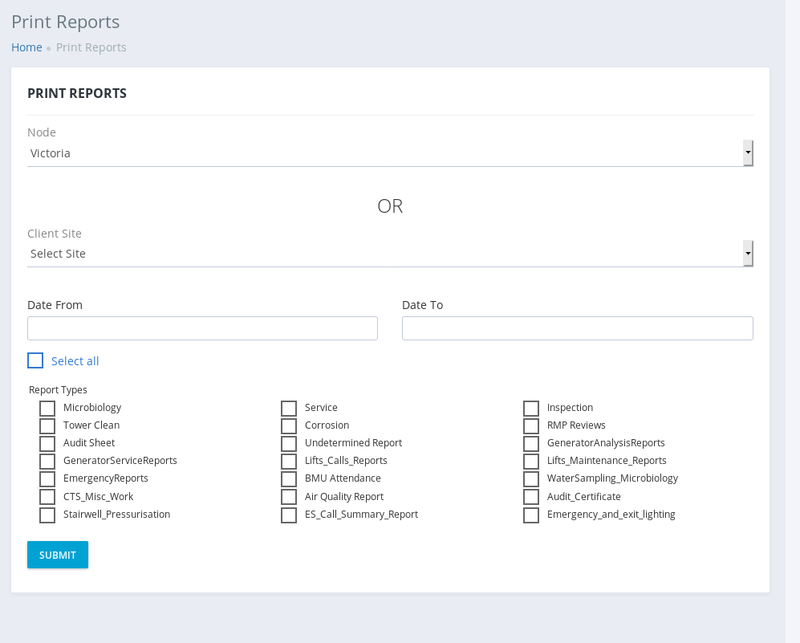 The Mark of the Year/Goal of the Year websites were built using the Yii Framework and allows visitors to view the top marks/goals of each round. Visitors can vote for their favourite and win prizes. 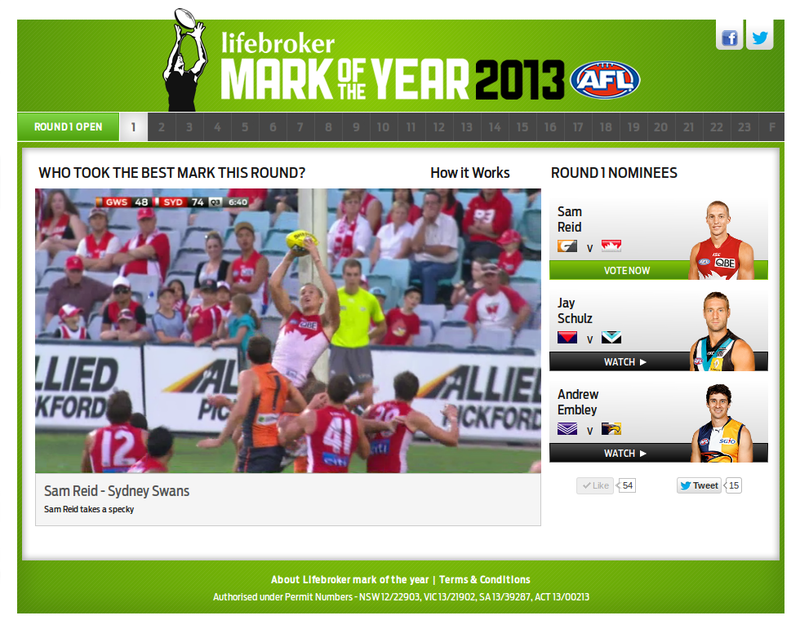 Yii allowed quick and robust development of the administration area for the AFL to update the site each week. 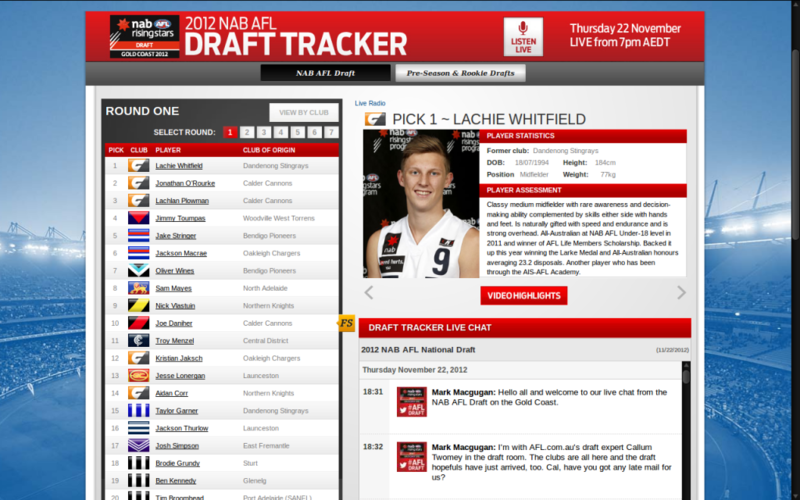 I again updated the AFL Draft Tracker website which footy fans around the country used to watch live the picks take place. I employed a system of four slaves underneath a load balancer to support 100,000 unique users that visited the site during the event. 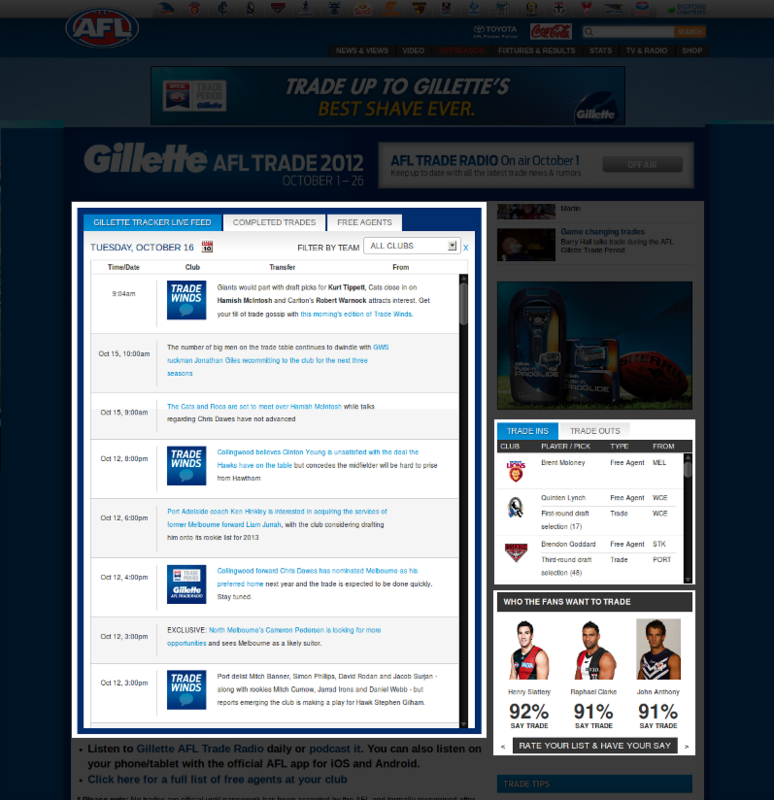 This project was created to populate the news feed and trade information within the trade page of the AFL site for the AFL trade period. The site was built in Yii and includes a CMS for the editors to add news items and trade details. The front-end allows users to filter content in various ways which reloads content via Ajax. My contributions to the site are highlighted in the accompanying image. This site was designed to encourage people to purchase tickets on the V/Line train. 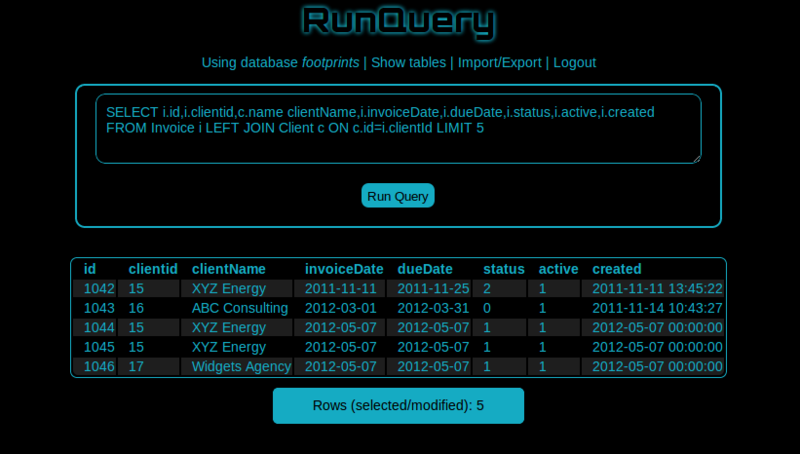 It was built with the Yii PHP framework but uses jQuery and AJAX heavily to navigate through the pages. This is a simple ‘Single File’ MySQL tool to query databases for sites that you don’t have ssh access to but it’s a lot easier and faster than installing phpMyAdmin. Source available on github. 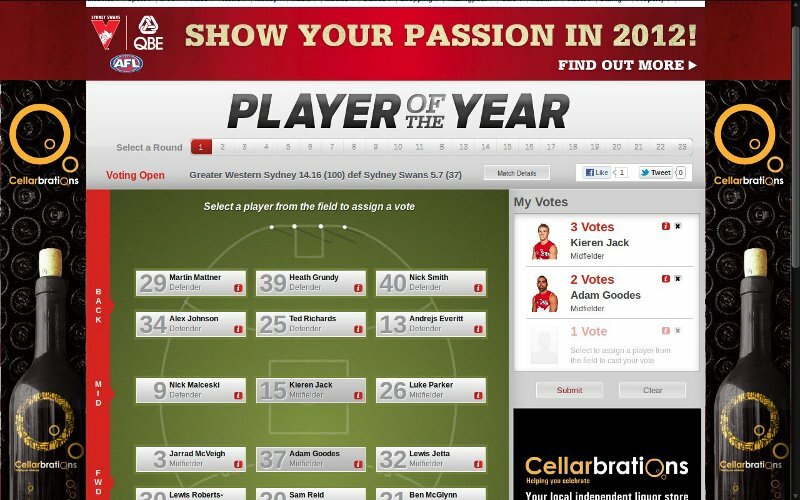 This website was built using the existing AFL Best 22 application. It receives a game data feed when a match is completed which i used to populate the field with team selections of that round and allows visitors to vote for the top three players. 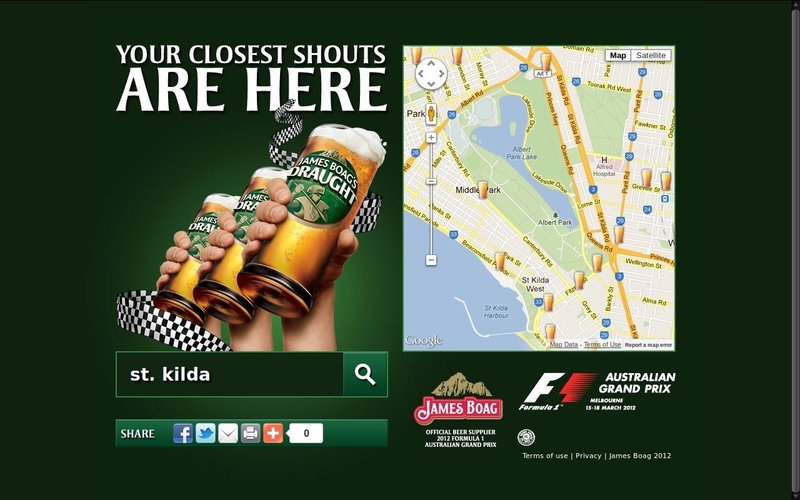 The Find A Shout webapp was a small site put together for the James Boag’s Formula 1 promotion. After cutting a token from the newspaper, you could redeem a free beer by finding the nearest hotel to your location. It uses the Less Framework to scale the website to fit desktop, tablets and smart phones in an adaptive way.